Osteo Bi-Flex Triple Strength Review | Does It Work? 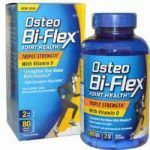 Osteo Bi-Flex Triple Strength Review – Is This Product Safe To Use? What is Osteo Bi-Flex Triple Strength? Osteo Bi-Flex Triple Strength is touted to be a unique supplement that has been formulated to nurture the joints. It helps promote joint mobility by lubricating the joints and ensuring that inflammation doesn’t take a toll on you. The producers claim that the product contains joint boosters to strengthen the joints and promote immunity in the joints. Osteo Bi-Flex Triple Strength can be bought over the counter without a prescription meaning you can get it cheaply over the counter. What is the Company Behind Osteo Bi-Flex Triple Strength? Osteo Bi-Flex Triple Strength is a dietary supplement that is designed to offer joint cushioning and nourish the joint tissue. According to the producers, this product is adapted to improve mobility in order for users to engage in active lifestyles. Osteo Bi-Flex Triple Strength comes in tablet form with the tablet being coated to ease swallowing and prevent aftertaste. What are the Ingredients Used in Osteo Bi-Flex Triple Strength? Glucosamine – this is harvested from shellfish. It is known for its ability to restore worn out cartilage. Research also suggest that it promotes lubrication and supports joint cushioning. It can be taken for extended periods of time and in high concentrations without any adverse effects or complications. Chondroitin Sulfate – it is used hand in hand with glucosamine. It is useful in lubrication given its high affinity of liquids. Its primary use is joint cushioning and lubrication though it is believed to also block cartilage destroying proteins and enzymes. Methylsulfonylmethane (MSM) – MSM is our bodies’ source of natural sulphur. It also forms part of the core components that constitute a majority of the structural composition of the body such as the hair and cartilage. Sulphur produced by msm is responsible for healthy collagen, cartilage and joints. 5 Loxin advanced – this is a unique ingredient that is based on Boswellia. This has been used for hundreds of years as a food additive. It is believed to be a power painkiller and also relieves joint swelling. It is used in joint supplements since it facilitates mobility and fights joint inflammation. What are the Pros of Osteo Bi-Flex Triple Strength? Osteo Bi-Flex Triple Strengthis fast acting as compared to other orally taken supplements. The official website offers discounts for bulk purchases. What are the Cons of Osteo Bi-Flex Triple Strength? What is the recommended dosage for Osteo Bi-Flex Triple Strength? The recommended dosage of Osteo Bi-Flex Triple Strength is up to three tablets a day. It is up to you to decide how you will separate the doses. In case you got it from your caregiver, disregard this dosage information. This product might not work well with pregnant or breastfeeding women. Is Osteo Bi-Flex Triple Strength a scam? Osteo Bi-Flex Triple Strength is not a scam. It has been made in the United States by a reputable company known to offer high-quality supplements. Osteo Bi-Flex Triple Strength is a dietary supplement that is designed to improve the health of our joints by promoting mobility. It packs some great ingredients that are time tried and proven effective. All the same, the manufacturer should have added some vitamins and minerals to boost the product and compete with some of the products we have reviewed previously.